Q: Why is “speech therapy jobs” CPC more expensive? Speech therapists look for employee’s more than customers? Answer. What you have to understand about the Google AdWords keyword tool is that it is giving us data on three interrelated things. First, keyword ideas. So when you enter speech therapy the tool is giving us a laundry list of all sorts of keywords that people type into Google. What you have to realize here are is that different sorts of people are searching for the words speech therapy. One of the big divisions is between jobseekers and people looking for help for themselves or their children. The second aspect of the tool is keyword volume. This refers to the local, which is really the country specific volume such as the United States or United Kingdom, or the global which means worldwide, volumes. 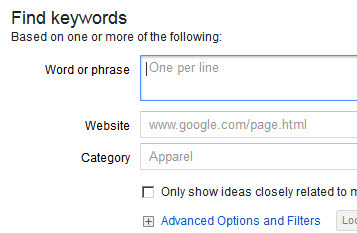 All this tells you is whether there is more or less quantity for a given keyword search. The third aspect of the tool is keyword value. This shows up as the CPC which stands for cost per click, which represents what people are willing to spend to get that click from Google via ad words. Now back to your question about speech therapy jobs. The fact that that CPC is higher only means that advertisers are more willing to bid for that keyword. So somehow in some way various websites seek to attract job seekers who are looking for speech therapy jobs, and they are willing to pay for that. So if your company is not involved in the job market, then that quote unquote value is irrelevant. Mainly, what you’re looking for is high-volume high value keyword searches that are relevant to your company, and you want to ignore keyword searches that are not relevant. So in this example we found one not relevant category, jobs, and many relevant categories such as speech therapy for children, speech therapy for autism, and speech therapy for adults.